Multiple sclerosis is the major inflammatory condition affecting the central nervous system (CNS) and is characterised by disseminated focal immune-mediated demyelination. Demyelination is accompanied by variable axonal damage and loss and reactive gliosis. It is this pathology that is thought to be responsible for the clinical relapses that often respond well to immunomodulatory therapy. However, the later secondary progressive stage of MS remains largely refractory to treatment and it is widely suggested that accumulating axon loss is responsible for clinical progression. Although initially thought to be a white matter (WM) disease, it is increasingly apparent that extensive pathology is also seen in the grey matter (GM) throughout the CNS. GM pathology is characterised by demyelination in the relative absence of an immune cell infiltrate. Neuronal loss is also seen both in the GM lesions and in unaffected areas of the GM. The slow progressive nature of this later stage combined with the presence of extensive grey matter pathology has led to the suggestion that neurodegeneration might play an increasing role with increasing disease duration. However, there is a paucity of studies that have correlated the pathological features with clinical milestones during secondary progressive MS. 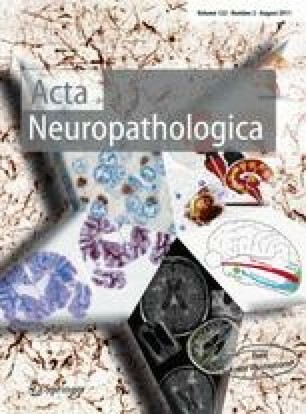 Here, we review the contributions that the various types of pathology are likely to make to the increasing neurological deficit in MS.
R. Reynolds and F. Roncaroli contributed equally to the review. Work described in this review was funded by the Multiple Sclerosis Society (Grant No. 747/02 to RR, FR and RN) and the Medical Research Council (Grant No. G0700356 to RR and OH).